This is not to dispute the jury’s finding — one can intellectually rationalize the decision — as much as it is to howl at the moon, to yearn for a brighter reality for the politics around dark bodies, to raise a voice and say, this case is a rallying call, not a death dirge. The system began to fail Martin long before that night. The system failed him when Florida’s self-defense laws were written, allowing an aggressor to claim self-defense in the middle of an altercation — and to use deadly force in that defense — with no culpability for his role in the events that led to that point. 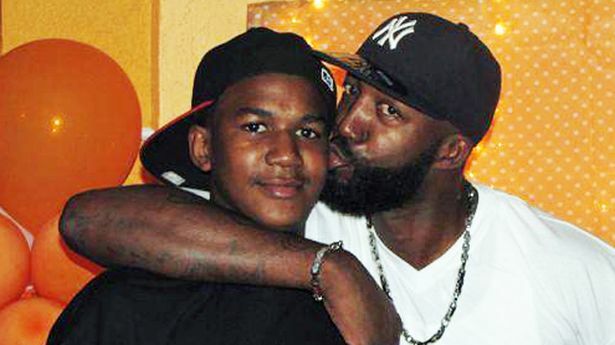 The system failed him because of the disproportionate force that he and the neighborhood watchman could legally bring to the altercation — Zimmerman could legally carry a concealed firearm, while Martin, who was only 17, could not. The system failed him when the neighborhood watchman grafted on stereotypes the moment he saw him, ascribing motive and behavior and intent and criminal history to a boy who was just walking home. The system failed him when the bullet ripped though his chest, and the man who shot him said he mounted him and stretched his arms out wide, preventing him from even clutching the spot that hurt. The system failed him in those moments just after he was shot when he was surely aware that he was about to die, but before life’s light fully passed from his body — and no one came to comfort him or try to save him. The system failed him when the slapdash Sanford police did a horrible job of collecting and preserving evidence. The system failed him when those officers apparently didn’t even value his dead body enough to adequately canvass the complex to make sure that no one was missing a teen. The system failed him when he was labeled a John Doe and his lifeless body spent the night alone and unclaimed. The system failed him when the man who the police found standing over the body of a dead teenager, a man who admitted to shooting him and still had the weapon, was taken in for questioning and then allowed to walk out of the precinct without an arrest or even a charge, to go home after taking a life and take to his bed. The system failed him when it took more than 40 days and an outpouring of national outrage to get an arrest. 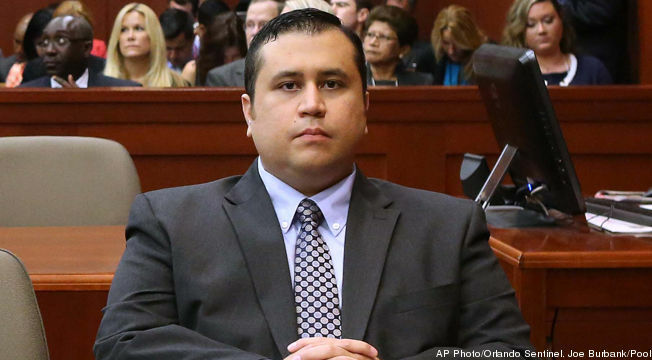 The system failed him when a strangely homogenous jury — who may well have been Zimmerman’s peers but were certainly not the peers of the teenager, who was in effect being tried in absentia — was seated. 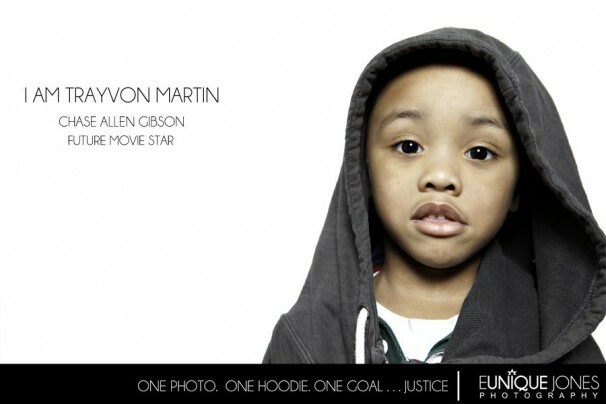 The system failed him when the prosecution put on a case for the Martin family that many court-watchers found wanting. The system failed him when the discussion about bias became so reductive as to be either-or rather than about situational fluidity and the possibility of varying responses to varying levels of perceived threat. The system failed him when everyone in the courtroom raised racial bias in roundabout ways, but almost never directly — for example, when the defense held up a picture of a shirtless Martin and told the jurors that this was the person Zimmerman encountered the night he shot him. 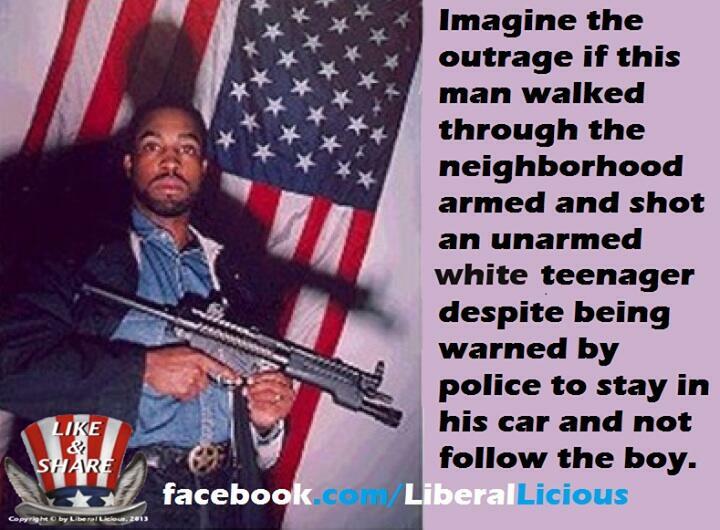 But in fact it was not the way Zimmerman had seen Martin. Consciously or subconsciously, the defense played on an old racial trope: asking the all-female jury — mostly white — to fear the image of the glistening black buck, as Zimmerman had. This case is not about an extraordinary death of an extraordinary person. Unfortunately, in America, people are lost to gun violence every day. Many of them look like Martin and have parents who presumably grieve for them. 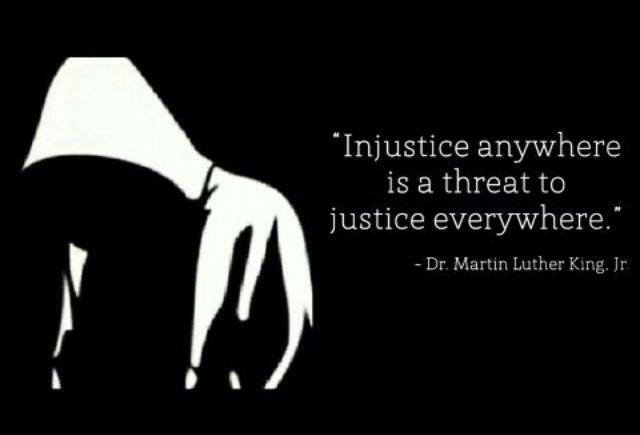 This case is about extraordinary inequality in the presumption of innocence and the application of justice: why was Martin deemed suspicious and why was his killer allowed to go home? Sometimes people just need a focal point. Sometimes that focal point becomes a breaking point. The idea of universal suspicion without individual evidence is what Americans find abhorrent and what black men in America must constantly fight. It is pervasive in policing policies — like stop-and-frisk, and in this case neighborhood watch — regardless of the collateral damage done to the majority of innocents. It’s like burning down a house to rid it of mice. We used to say not to run in public because that might be seen as suspicious, like they’d stolen something. But according to Zimmerman, Martin drew his suspicion at least in part because he was walking too slowly. So what do I tell my boys now? At what precise pace should a black man walk to avoid suspicion? And can they ever stop walking away, or running away, and simply stand their ground? Can they become righteously indignant without being fatally wounded? Is there anyplace safe enough, or any cargo innocent enough, for a black man in this country? Martin was where he was supposed to be — in a gated community — carrying candy and a canned drink. The whole system failed Martin. What prevents it from failing my children, or yours? I feel that I must tell my boys that, but I can’t. It’s stuck in my throat. It’s an impossibly heartbreaking conversation to have. So, I sit and watch in silence, and occasionally mouth the word, “breathe,” because I keep forgetting to. 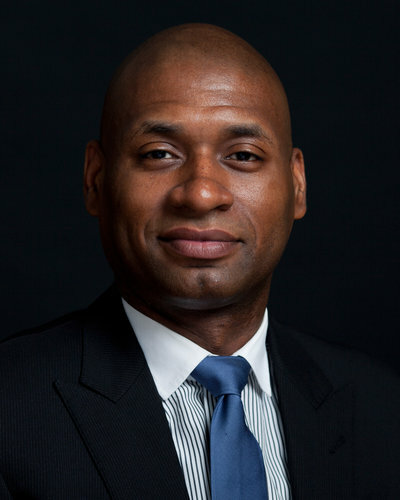 Charles M. Blow is The New York Times’s visual Op-Ed columnist. His column appears on Saturday.